I am a professionally trained musician living in Berlin, Germany. My passion lies within the Jazz and Metal compositions in guitar. Born 1981 in Brandenburg, near Berlin, Germany, music is part of my cultural history. I picked up the Guitar at age 12 and since then I couldn’t put her down. I have had the opportunity to train with some of the world’s top musicians, composed with multiple groups, and toured internationally. 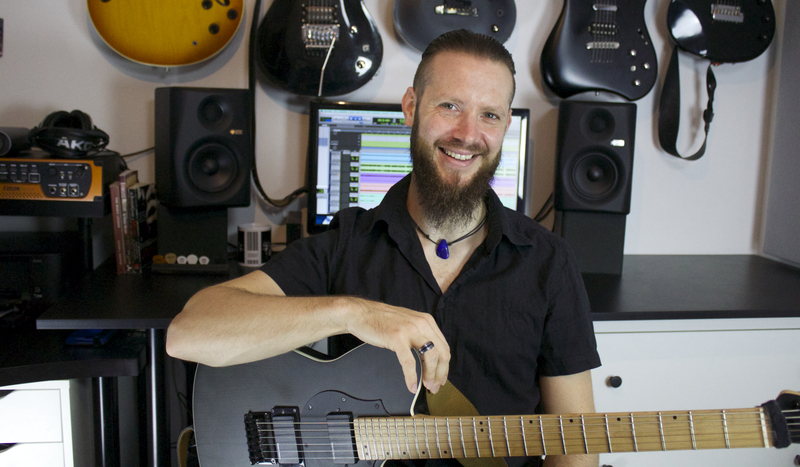 Rooted in Metal, but becoming interested in different styles of music I studied electric and classical guitar in Rostock, Germany and Gothenburg, Sweden. During these studies abroad, I found my way to Scandinavian Jazz. Now I am a freelance Musician and Guitar teacher. I believe the limitless exploration of my imagination is the key to creating music with exponential versatility. The experience of composing music, and in some cases lyrics, for PGT, Holy Moses and KLONQUE, has allowed me to openly express my creativity without boundaries or limitations. Working with multiple genres has provided me access to a new set of instrumentation to further expand my skills. As my journey continues, I find myself growing and evolving personally and artistically. For more information, please see my educational and artistic history on LinkedIn.